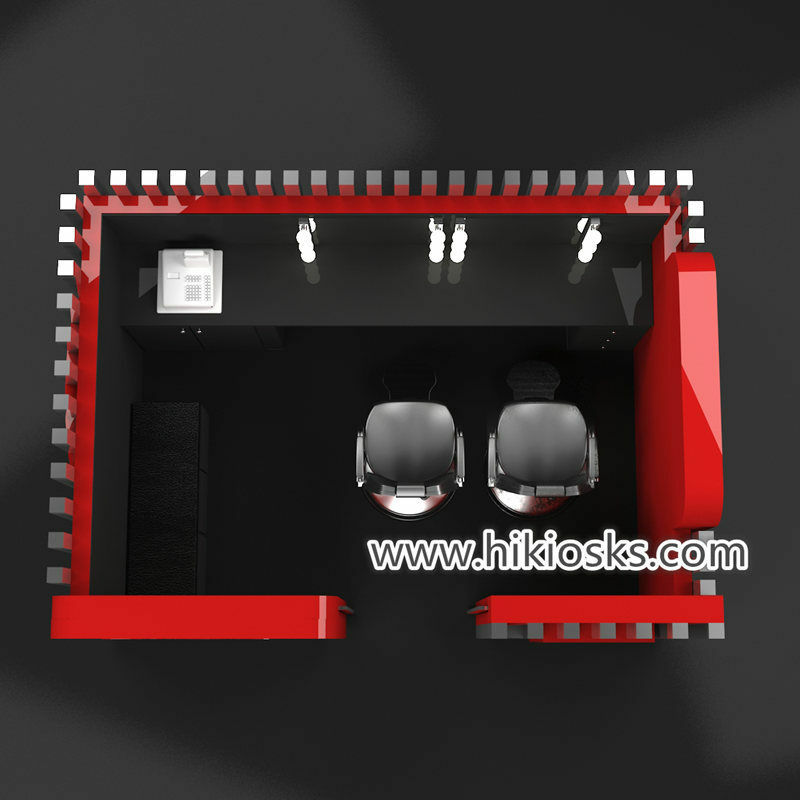 Beauty salon service is very popular all around the world , it including manicure , pedicure ,eyebrow threading , hair cutting , makeup , skin care and more , Today I would like to introduce a very delicate eyebrow threading kiosk . if you also interested buid a salon store , pls follow me see more details at below . Color : white ,black . brown wood grain . Material : MDF . baking painting finished , solid wood . 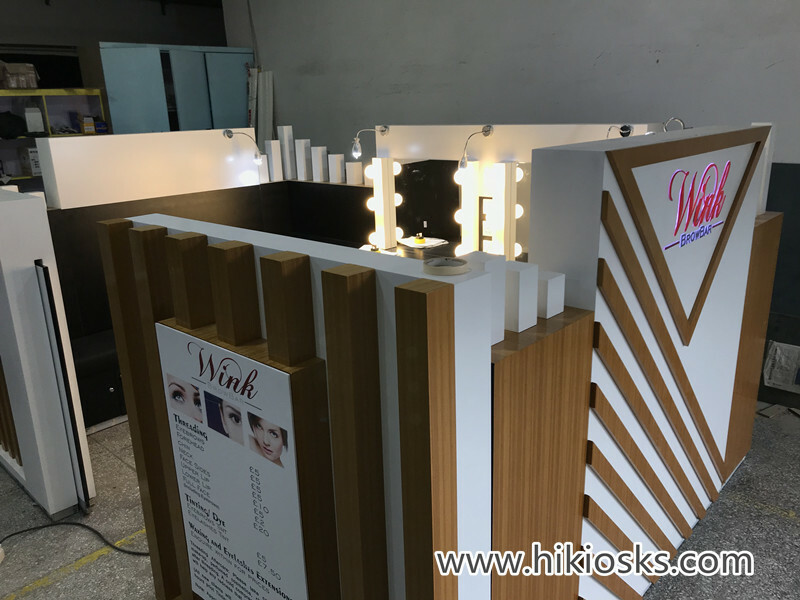 You can see this eyebrow threading kiosk , mainly tone is white , black and wood grain solid wood strip . 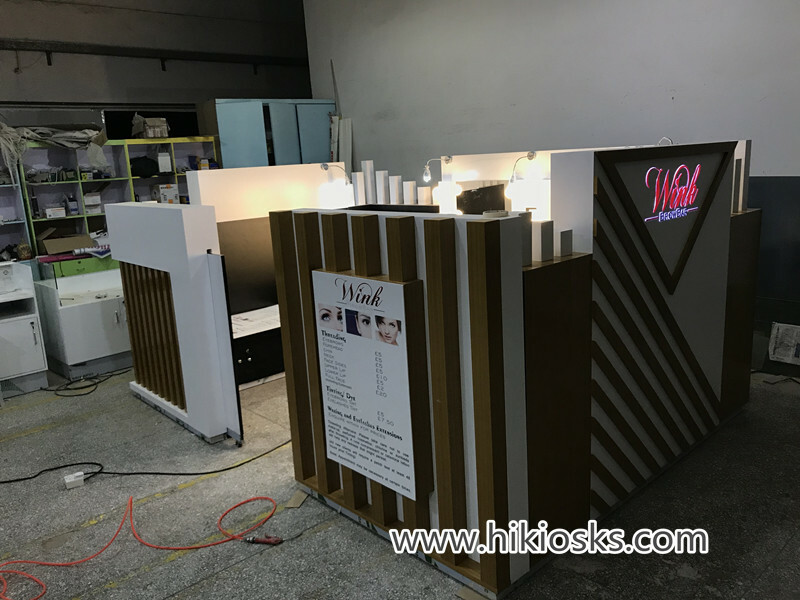 basic material is MDF , surface is baking paintng finished , there is two eyebrow threading station with mirror and beauty lamp ,with a small cashier counter . wooden cabinet for storage , surface with many poster and acrylic logo , looks very nice and bright . 2. Some real production photos for your reference . 3. 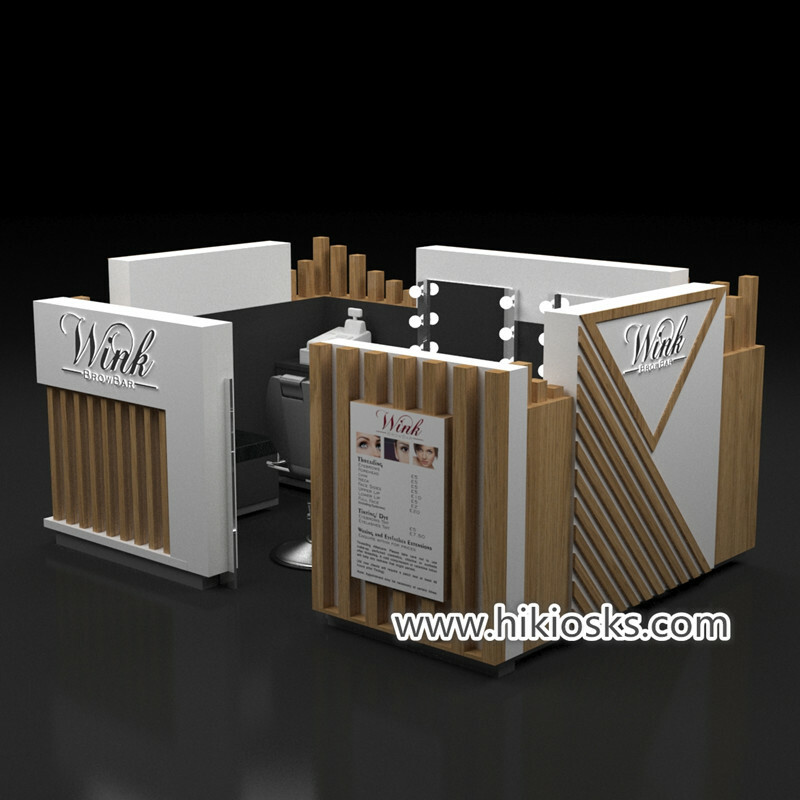 How can i do the eyebrow threading kiosk in mall ?